Mark Anderson has joined Aronberg Goldgehn as a member in the Business Law and Transactions Group. He represents real estate developers, privately held corporations, limited liability companies, and family enterprises consisting of various corporations, LLCs and trusts in a wide range of tax and general business law matters. He also maintains an estate planning practice, which is a value-added service to business owners and their families. "We are excited to have Mark join the Aronberg Goldgehn team," said Jerry Holisky, co-managing member at Aronberg Goldgehn. 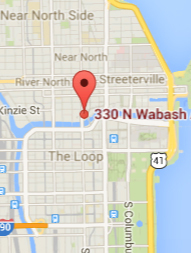 "Mark is a highly credentialed and respected tax lawyer in the Chicago legal community, and has been for many years. His addition continues the steady growth of our Business Law and Transactions Group. And Mark's addition certainly strengthens the full service platform from which we provide sophisticated business, counseling, commercial litigation, and personal services to our clients." Mark Anderson comes to Aronberg Goldgehn from Coman & Anderson in Lisle, Ill., a firm he co-founded 15 years ago. Prior to that he was with Miller Shakman in Chicago. Mark started his career at the National Office of the IRS in Washington, D.C., where he also attended Georgetown University Law Center and earned a Masters of Law in Taxation. He is a past Chair of the Federal Tax Committee of the Chicago Bar Association, as well as chair of the partnership division and the corporate income tax division of the Federal Tax Committee. Mark regularly represents real estate developers, privately held corporations, limited liability companies, and family enterprises consisting of various corporations, LLCs and trusts in a wide range of tax and general business law matters. He also maintains an estate planning practice which is value-added service to business owners and their families. In addition to his core tax and estate planning practice, Mark enjoys working on complex LLC operating agreements, and he is a frequent speaker on limited liability companies, asset protection planning and related matters. Aronberg Goldgehn is a premier full-service business law and litigation boutique with offices in the AMA Plaza in Chicago's River North neighborhood. The firm represents clients ranging from entrepreneurial individuals and middle market businesses to Fortune 500 companies. Continuing its 120-year presence in the Chicago legal landscape, Aronberg Goldgehn assists and counsels clients in a broad range of complex business transactions and commercial litigation matters, and offers a full suite of personal legal services. The firm maintains a focus on the representation of bank clients, and features a national insurance coverage practice, as well. Aronberg Goldgehn's personal services include tax, estate planning, and family law. The firm's global reach is enhanced by its role as a founding member of Legal Netlink Alliance,www.legalnetlink.net, a network of 120 mid-sized law firms in 50 U.S. cities and 40 countries.